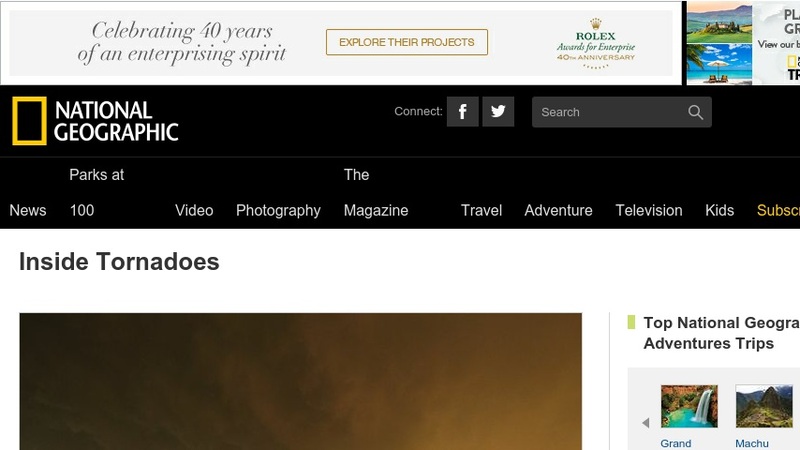 The National Geographic describes Tim Samaras and two colleagues' success in observing the bottom 30 feet of a tornado with a wisely placed camera. While users can only read the entire article by purchasing the National Geographic, the multimedia materials are amazing. Users can view images of the storm chasers at work. Everyone will enjoy the videos of the storm chasers setting up, the tornado moving over the camera, and Tim Samaras's descriptions of storm chasers' lives and tools. The website offers facts about tornadoes as well as websites and books where users can find more information.